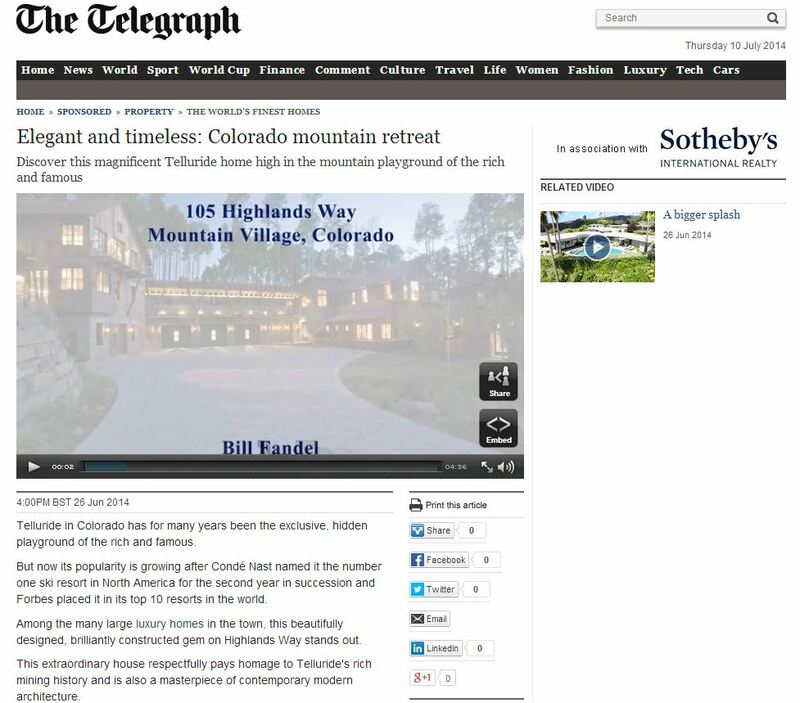 This Asian-inspired mountain retreat has been carefully shaped and crafted by its owners over the last 15 years to offer a serene escape in the heart of the Telluride peaks…one enters the warm & inviting log & stone residence through a centuries-old gate via walkway threading its way through mature gardens. A large stone fireplace and floor-to-ceiling windows frame views of the surrounding woods and 13,000-foot peaks…the open living area opens out to covered decks and porches leading to a short bridge and beautifully-crafted traditional pagoda, ideally-suited for quiet reflection, reading, yoga or intimate dining….a rare and inspiring offering…timeless and serene….certain objects of art and antiquities may be included in a sale for interested parties. For more information on 261 Adams Ranch Road, click here. Set upon six private acres overlooking a year-round stream, this custom built home & separate guesthouse will accommodate generations of friends and family in its warm & inviting spaces. 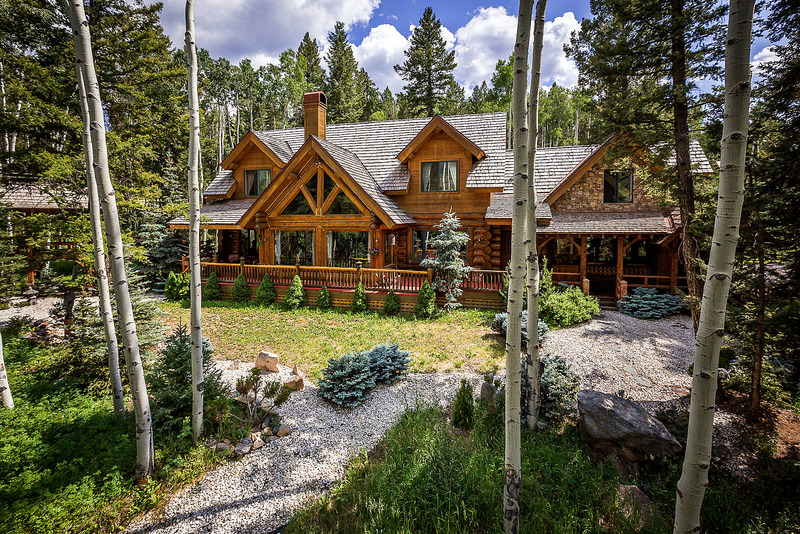 Ski-in & out of the beautiful wooded setting set within one of the finest enclaves in Mountain Village. 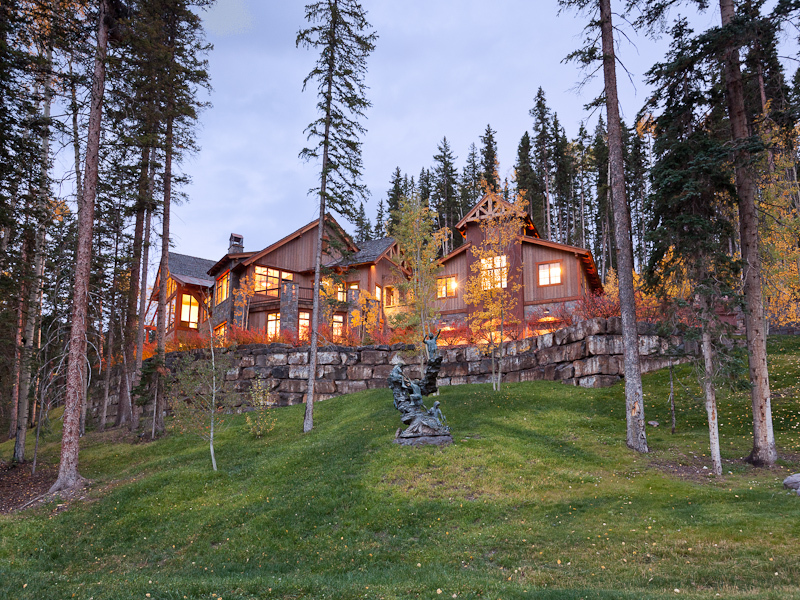 Dramatic native stone complements timber frame construction and towering windows. Wonderful gourmet kitchen, expansive master suite and hand-carved bar. Generous-sized recreational area, home theater & exceptional climate-controlled wine room make this the perfect place to accommodate. Multiple guest suites & his & her offices make this the ideal getaway for busy professionals or as a corporate retreat. The separate guesthouse is perfectly-suited for friends & business associates. For more information on 114 Autumn Lane, click here. 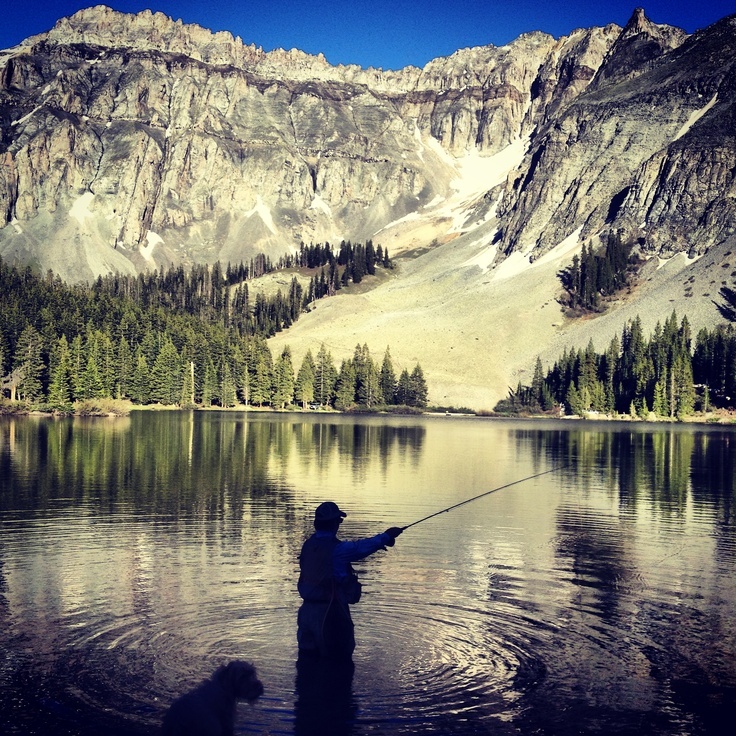 For more things to do in and around Telluride, click here. 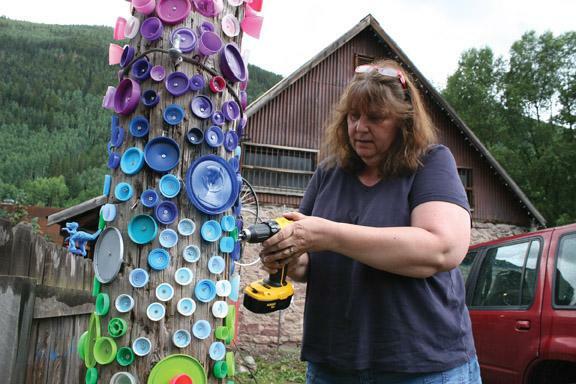 Telluride celebrates it’s 3rd annual Art + Architecture event with venues through out town showcasing various art and sculpture venues organized by Telluride Arts. Click here to read the full article and play video. To read about the 4th of July festivities, click here.